Lollipop Series puppet show from Puppet Show Incorporated. 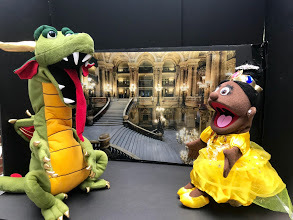 The puppetry program is inspired by the children's book The Paper Bag Princess by Robert Munsch. A princess sets out on a journey to outsmart a dragon and rescue a prince only to discover the real meaning of true love.